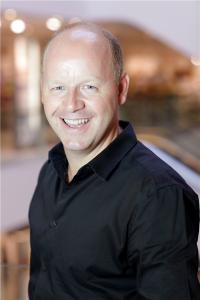 Craig has been Customer Director at John Lewis, one of the UK’s favourite retailers, since September 2015. He joined the business in 2008 as Head of Brand Communications. He is responsible for all aspects of brand, marketing and CSR strategy across the organisation. Before that, he was Sales & Marketing Director at Virgin Trains, where he played a pivotal role in the launch of both thetrainline.com and Virgin’s fleet of new trains, delivering a transformation in customer perceptions. He started his marketing career with Thomson Holidays as a graduate trainee and after four great years there, took the travel bug one step further by travelling around the world. Craig is a Fellow and Board member of the Marketing Society. Under his leadership, John Lewis has become one of the country’s most talked about brands, particularly at Christmas. The brand has received much critical acclaim winning the Marketing Society’s Brand of the Year twice, the IPA Effectiveness Grand Prix and a Cannes Effectiveness Lion amongst others. Craig was voted the Marketing Society’s Marketer of the Year in 2011 and The Drum’s Marketer of the Year in 2014. He lives in west London, is married to Jen and Dad to Noah, Louis and Scarlett.